Our 1st day in Rome has been wonderful and quite a workout. 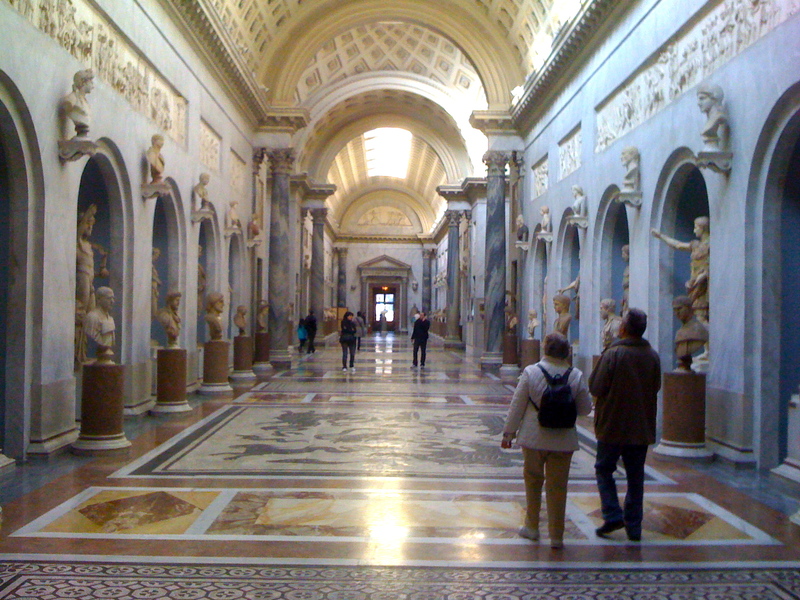 Over 6 miles of walking, including about 2 miles through the Vatican Museum and St. Peter’s Square, turned out to be full of rich surprises and unexpected treats. The company wasn’t bad either. 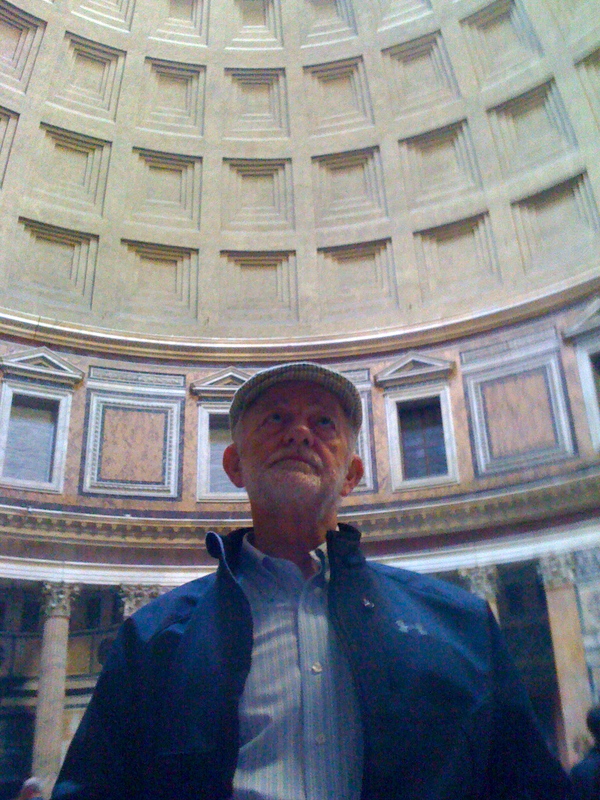 Dad really likes Rome, and it was evident. 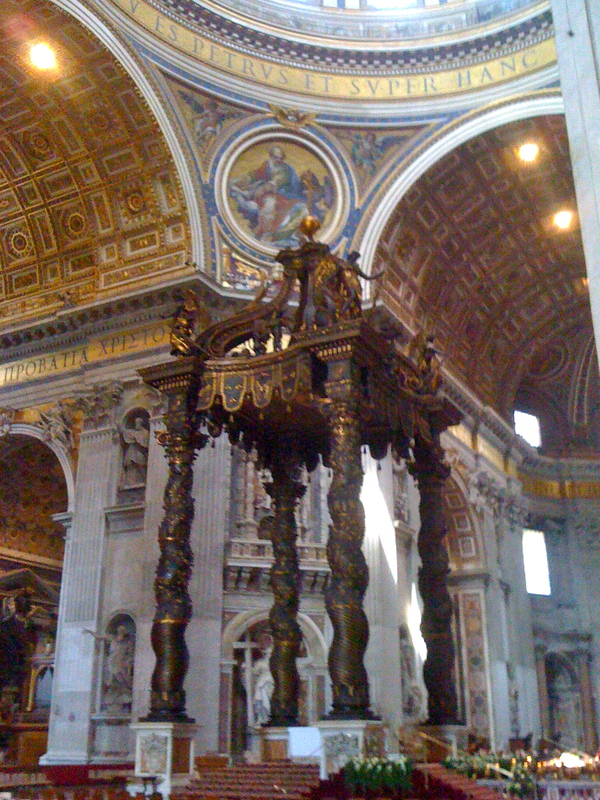 He showed me his favorites at the Vatican and St. Peters and the Pantheon. Talk time, coffee, and two great meals to boot. AND, Dad is leading me and the two couples with us through Philippians (special request of Clay who put the trip together). It has been very meaningful to say the least. The cold morning met us as we walked from the hotel to the bus stop. 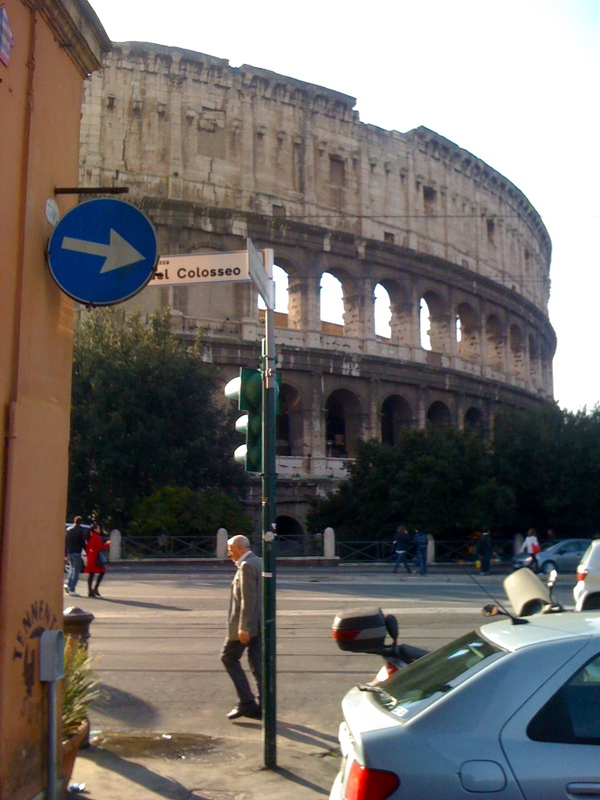 A view I had not seen of the Coliseum, just three blocks from the hotel, met us, too. 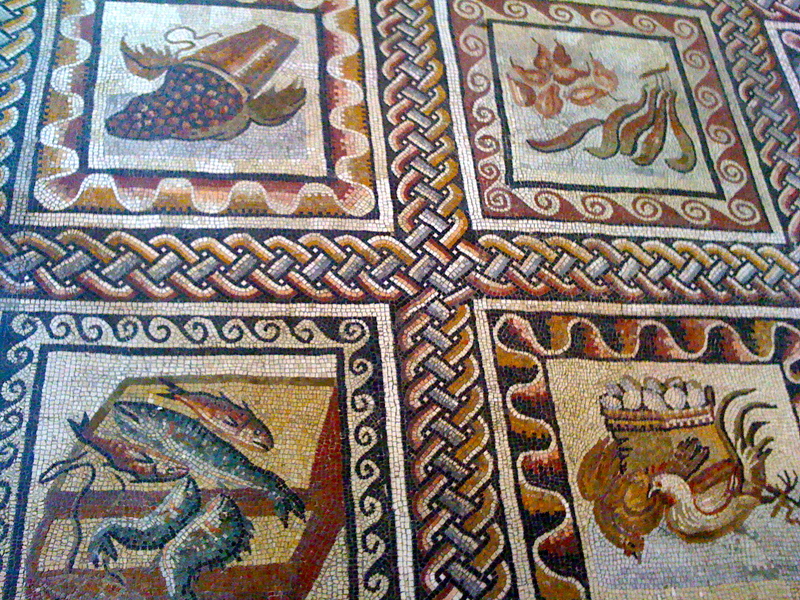 I am amazed by the history of Rome. Not that Florence and Venice weren’t historic, but not this far back. Or at least not that we saw. And the rich history continued throughout the day. Now, when I say “rich,” I mean it in two distinct ways. In one sense, rich because of significance and infamy. In another sense, rich because of excessiveness and show-of-wealth. I must admit, I was not turned off by our 1st stop sight-seeing today. 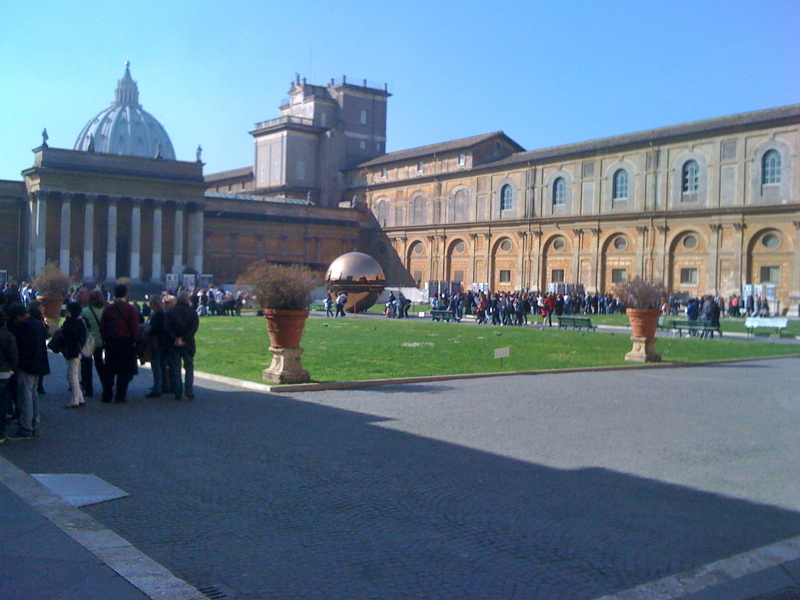 The Vatican is certainly a must-see, whether you are Catholic or not. I was gripped by the artistry and expanse. I was sickened by the crippled man sitting just a few blocks away from such excessiveness and wealth. His cup rattled with a few coins. His feet lamed inwards such that he couldn’t walk. His smile was beautiful, more so than the Egyptian masterpieces inside the Vatican walls stolen, er I mean taken from Egypt some time ago. I am not typing naive. I understand the generosity and positive influence the Catholic church is known for throughout the years. I am also well aware of the greed and intimidation. 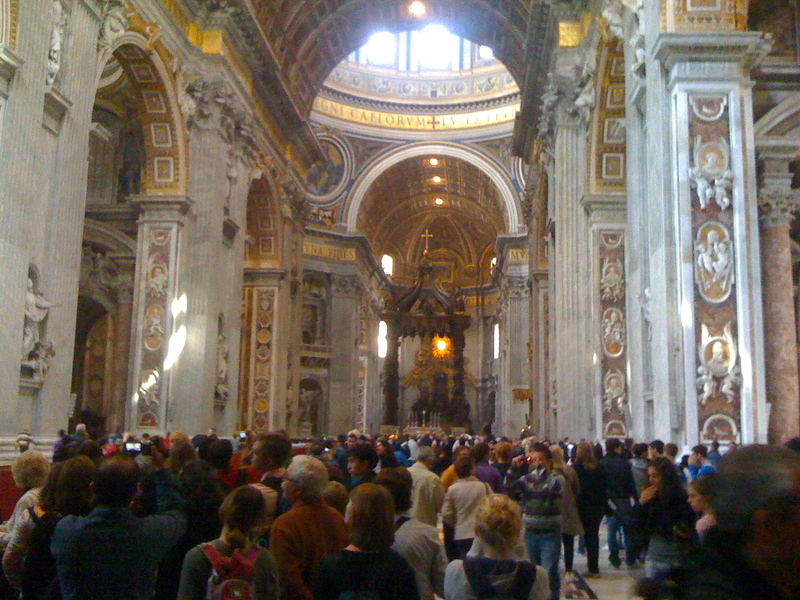 And so the price of admission and the billions of dollars worth of buildings, not to mention billions of dollars worth of art, that make the Vatican a must-see was somewhat sickening. I am not sure that what I walked 2 miles through today was “on earth as it is in Heaven,” but it did make for some inspiring scenes and some engaging pictures all taken with my phone. You will see them below. After we walked through the Vatican Museum, the Sistine Chapel, St. Peter’s Basilica, and St. Peter’s Square, we made our way over to the Pantheon. It is a huge building given as a gift by King Agrippa close to the time of Jesus. It has a hole in the roof, which is its only source of light. 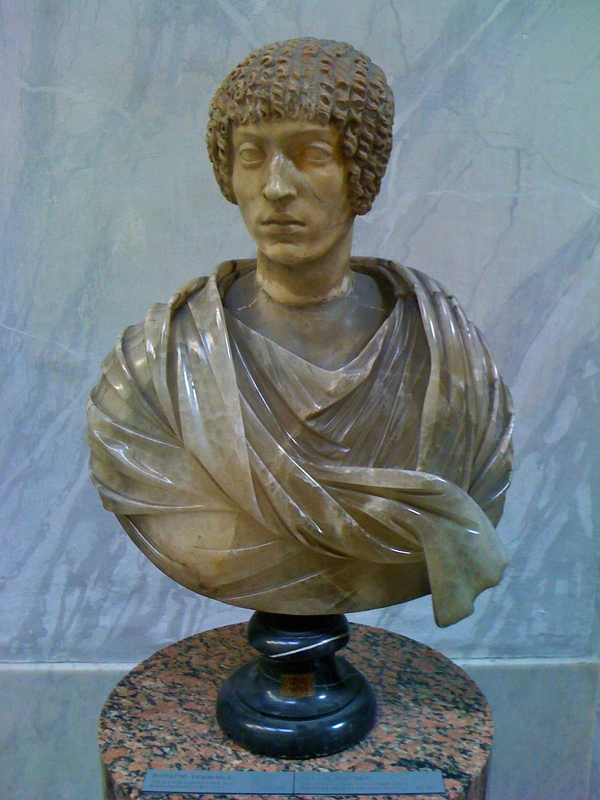 It houses the tombs of about 12 dignitaries, including the painter Raphael. It was impressive. 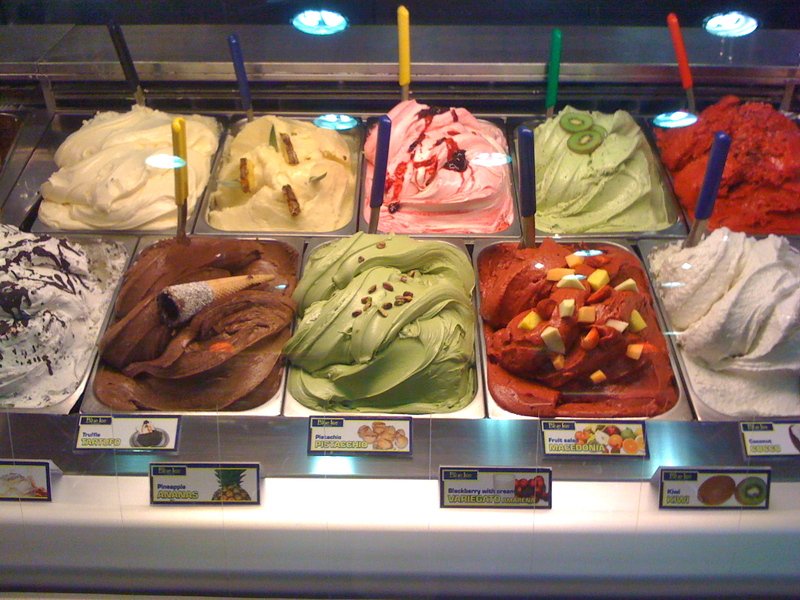 The gelato we enjoyed on the way to the Pantheon was also impressive. The latte afterward just next door even more so. It was one of 3 lattes on the day. 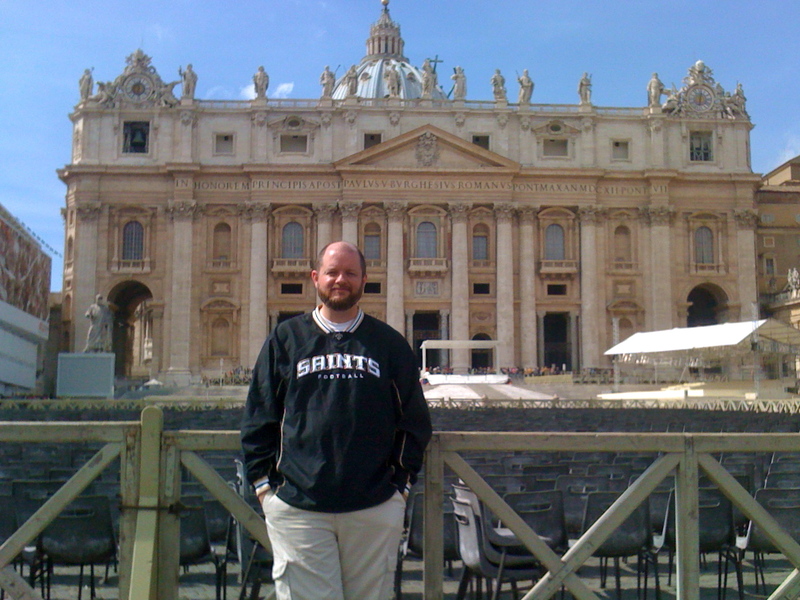 I had one at the “Sistine Cafe” inside the Vatican. It was good, too. The third followed dinner back at the hotel. 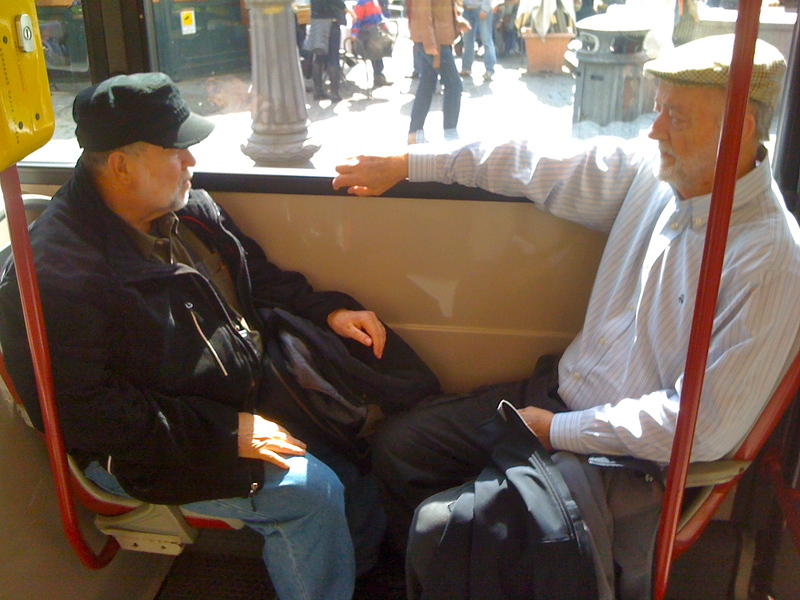 That’s where we weaved and bus-rode our way to following the coffee that followed the Pantheon. And that’s where I sit and type at 11pm this Thursday night. The 1st night of March Madness, which obviously doesn’t get much play in Rome. 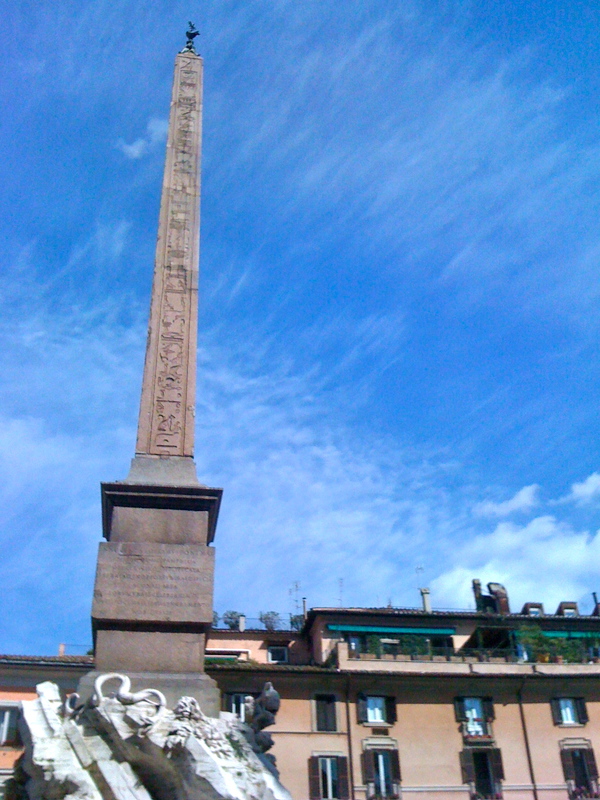 Nonetheless, I do like Rome. Very much so. The 1st day here was magnificent. I am told it gets much better as we go. 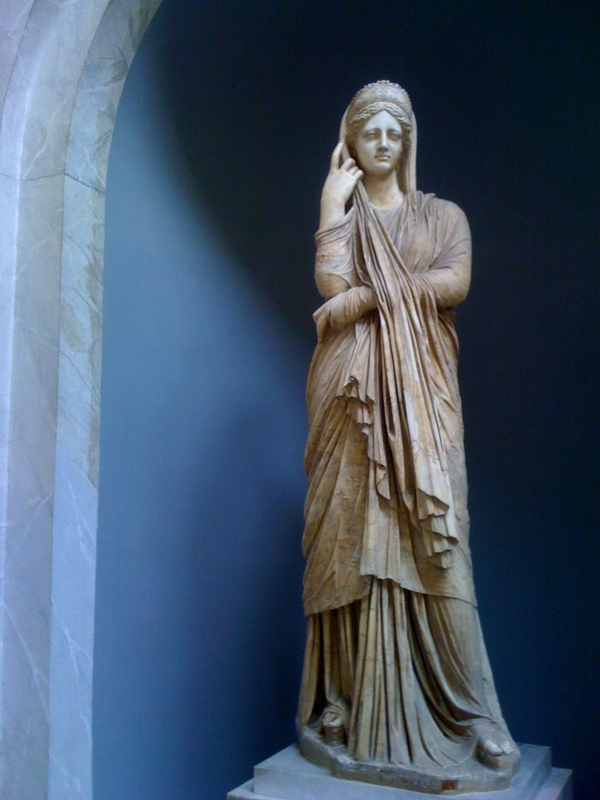 Tomorrow we will tour a few church buildings and museums, mostly famous for ancient practices and priceless art. My favorite part will continue to be the 68 year old guy I am about to go upstairs to share a room with. 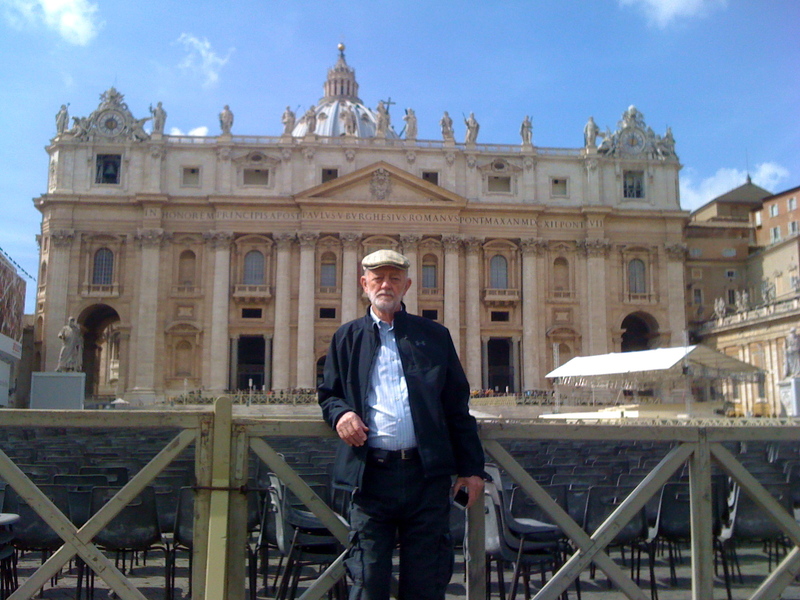 I love Dad so much, and I am so blessed to be on such a special pilgrimage with him. 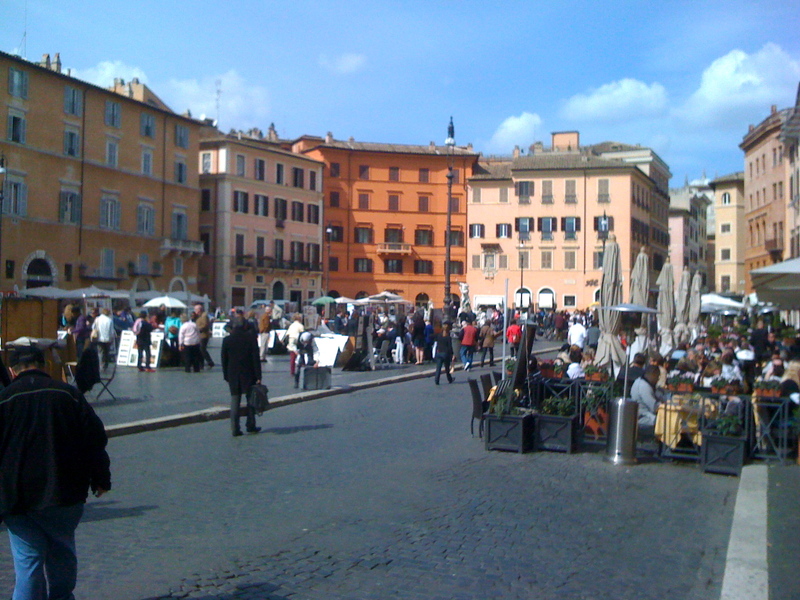 Without further adieu, here are the pics from the day from Rome (and only two of them illegal). 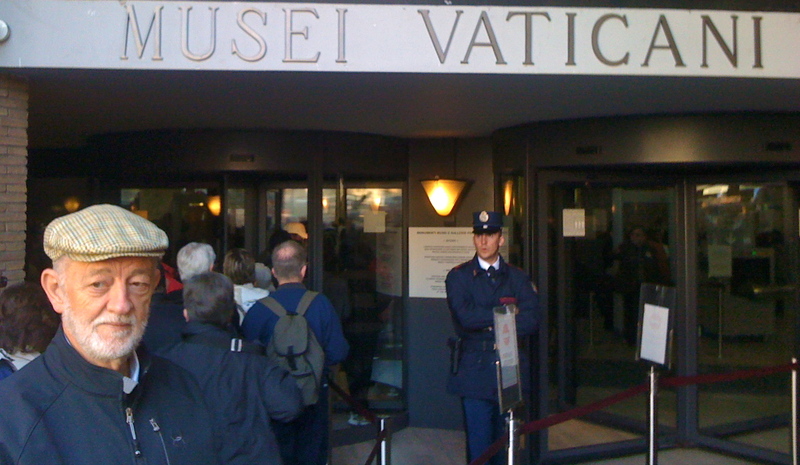 the line to enter the Vatican was over a 1/4 mile long. thankfully we had reservations. not sure what this was, but it was in the courtyard and picturesque. this is that courtyard. 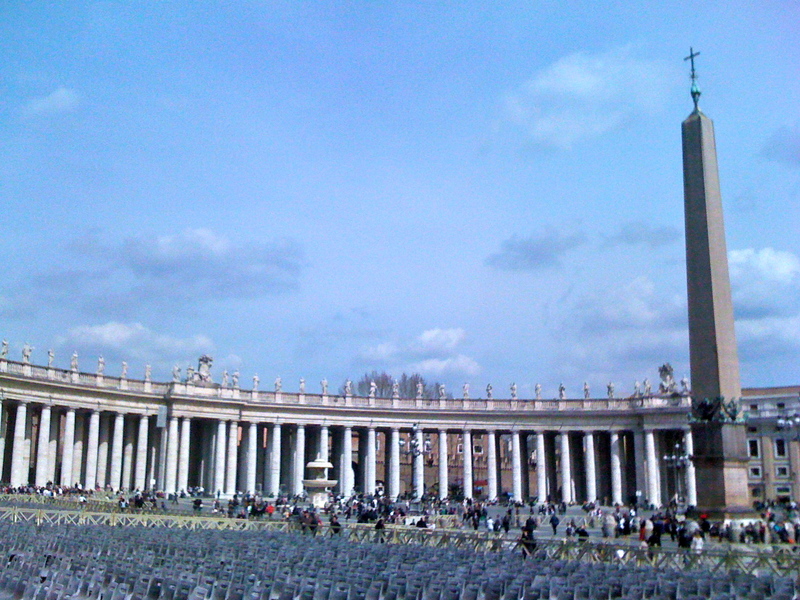 the dome of St. Peter's Basilica is in the left background. 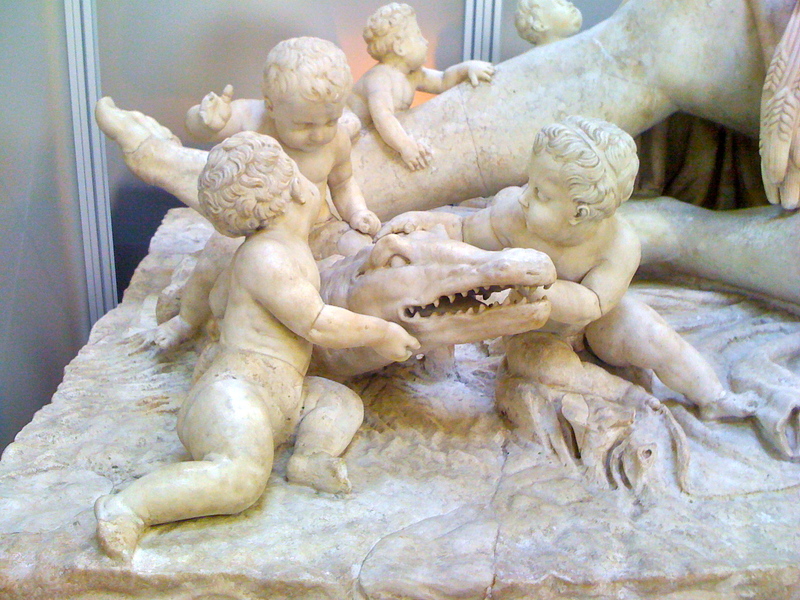 they obviously didn't teach the kids not to play with Gators. thought Caleb would enjoy this one. my 1st thought when I saw this one - bad hairpiece. I am such an art appreciater (I actually am). 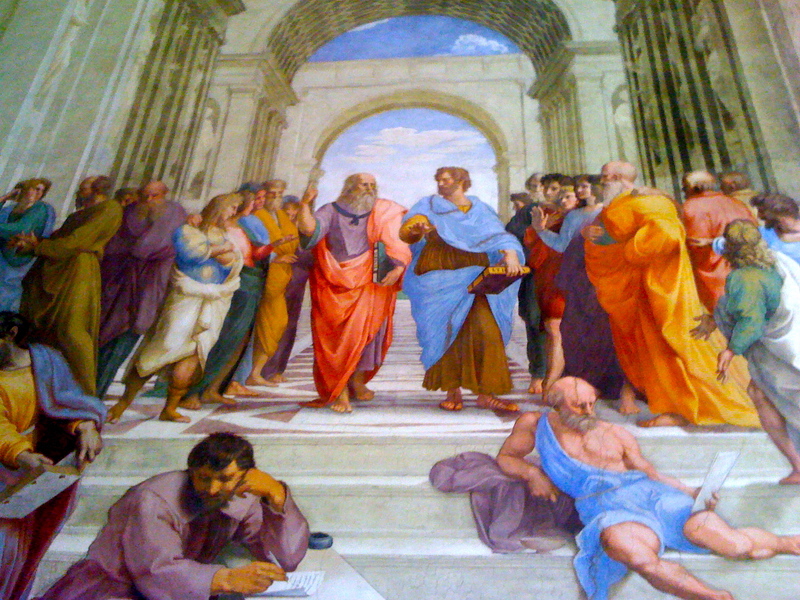 one of Raphael's most famous - that's him on the bottom left in purple. 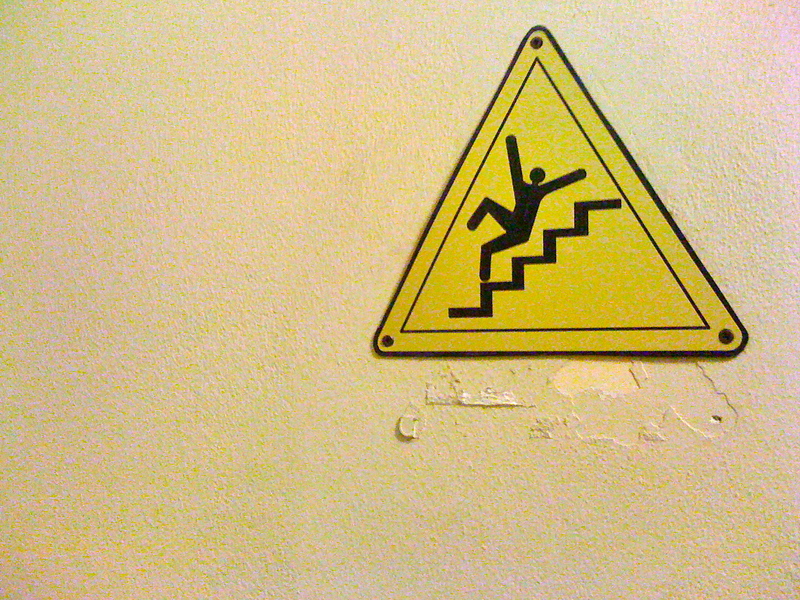 my dad's comment when we saw this sign - "That's the quickest way down the stairs." I thought that was funny. 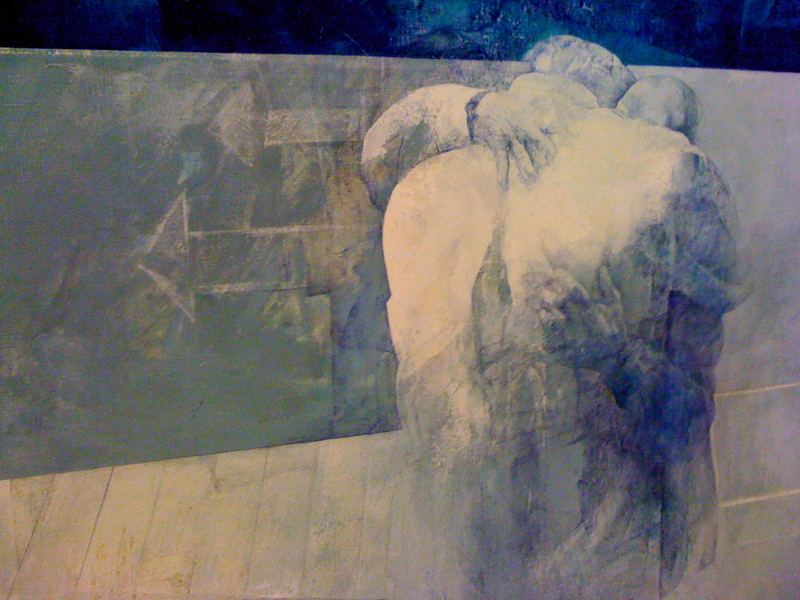 interesting painting. 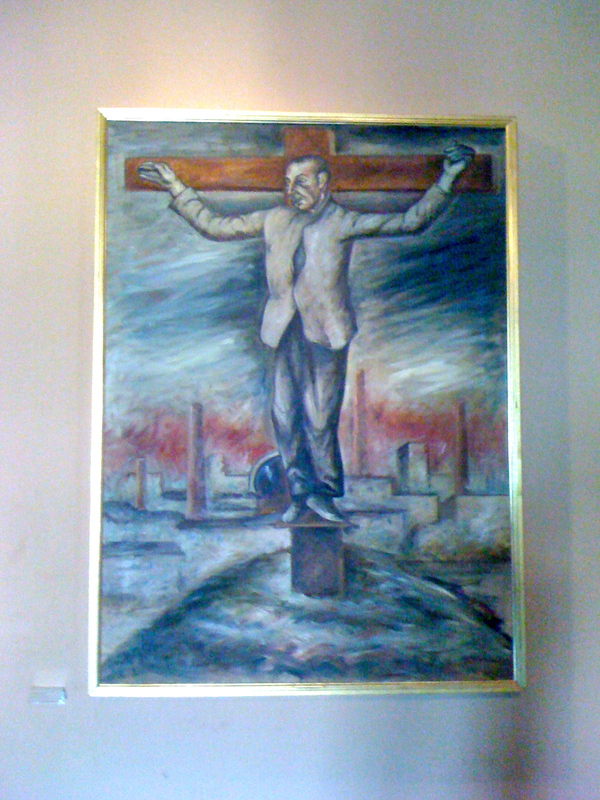 in the "modern art" section entitled "the man crucified." really, really liked this modern piece. 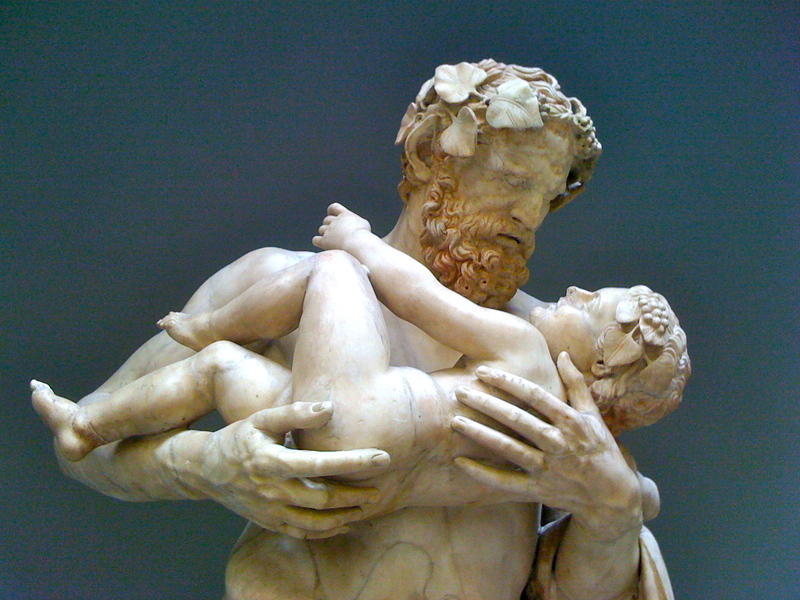 a father and son hugging. 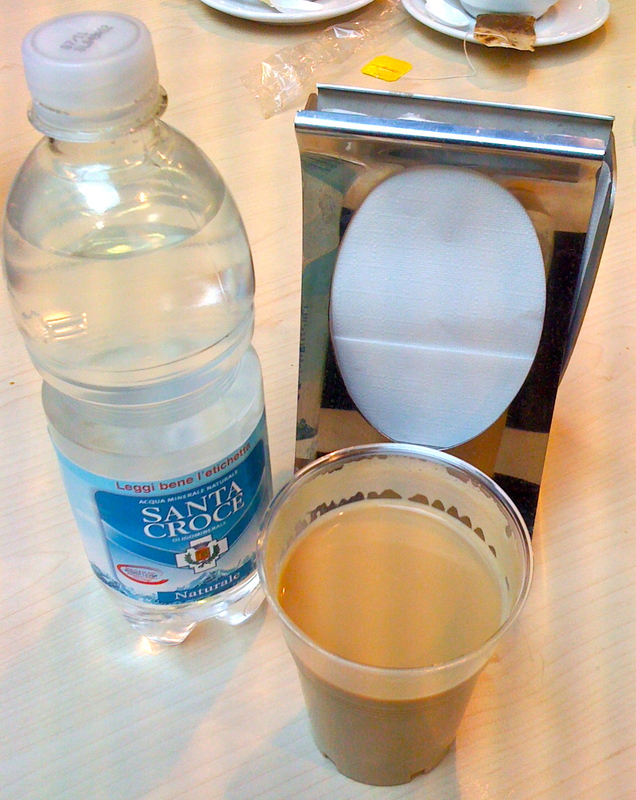 my Vatican latte. and bottle of water. 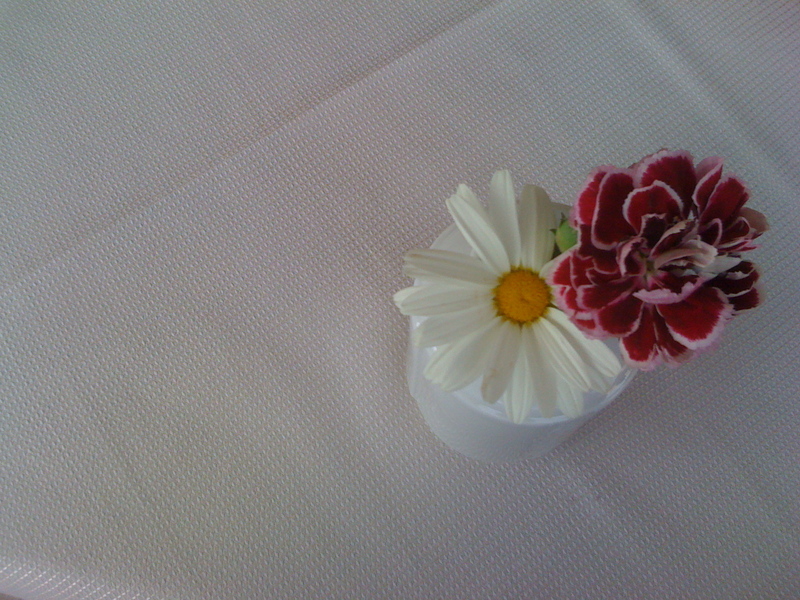 Only 3 Euros. 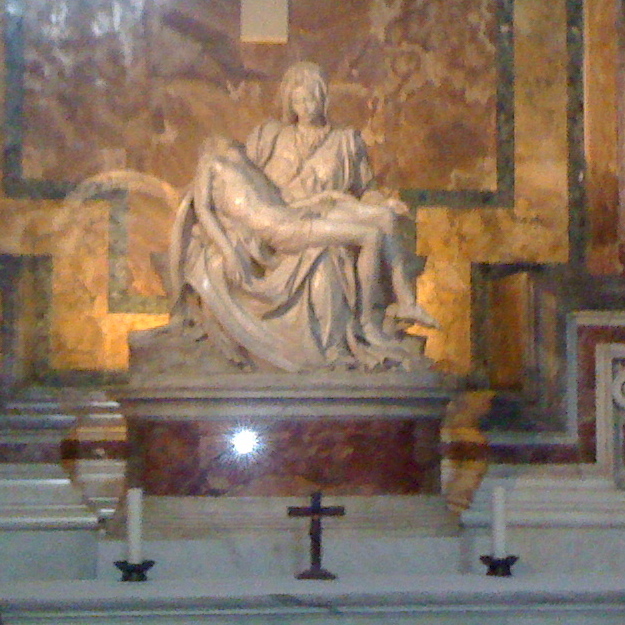 Michelangelo's "La Pieta" - i was stunned by this one. the beauty of both the sculpture and the moment captured me. we stood there for a good four or five minutes. the picture doesn't do it justice. i would suggest that the artist is mocking the church by making Mary so disproportionately larger than the body of Jesus, thus providing satire of their esteem of Mary because many see her as "co-regent" with Christ, which is nowhere in the Bible. 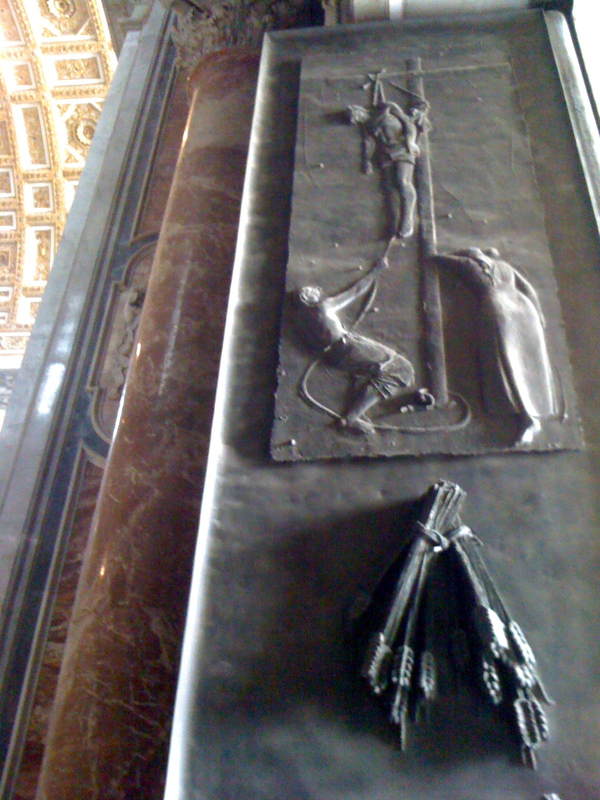 the door of St. Peter's Basilica. a cross scene. 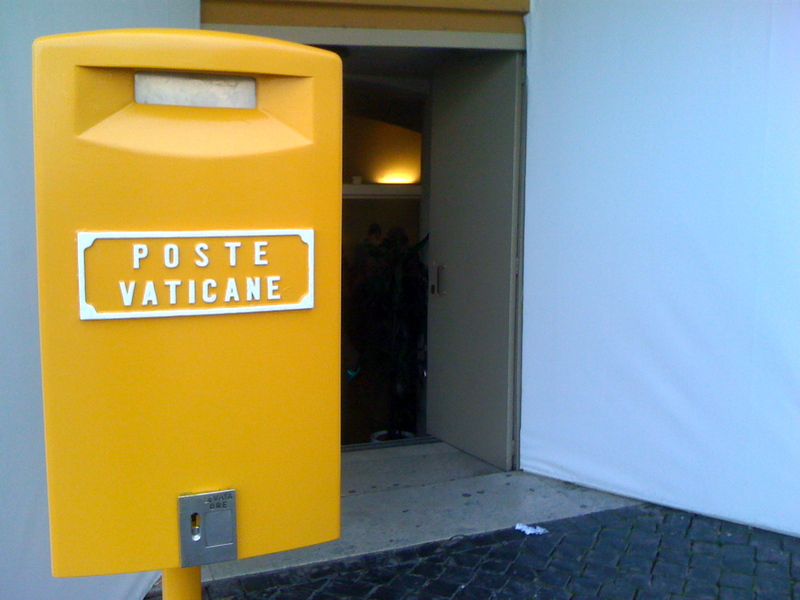 the Vatican has a post office. 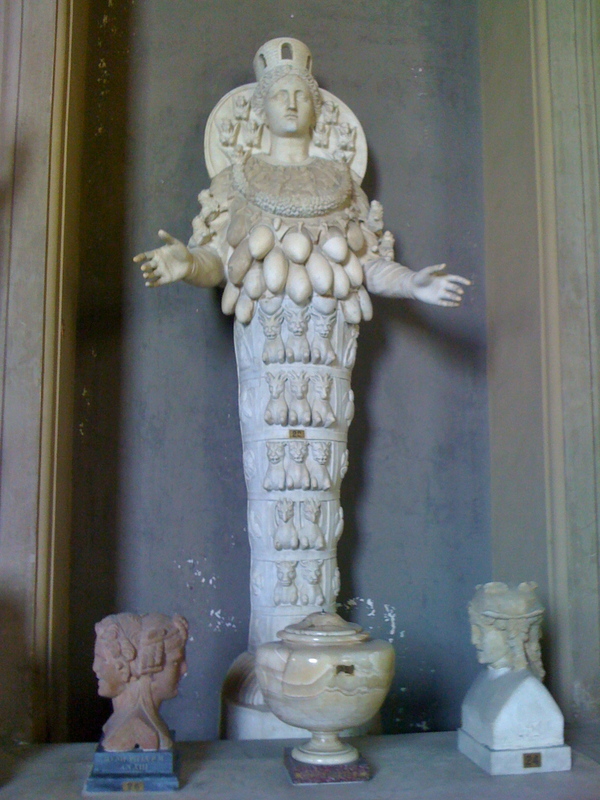 one of many Oblisques found in Rome, most of which were stolen, er I mean taken from Egypt. 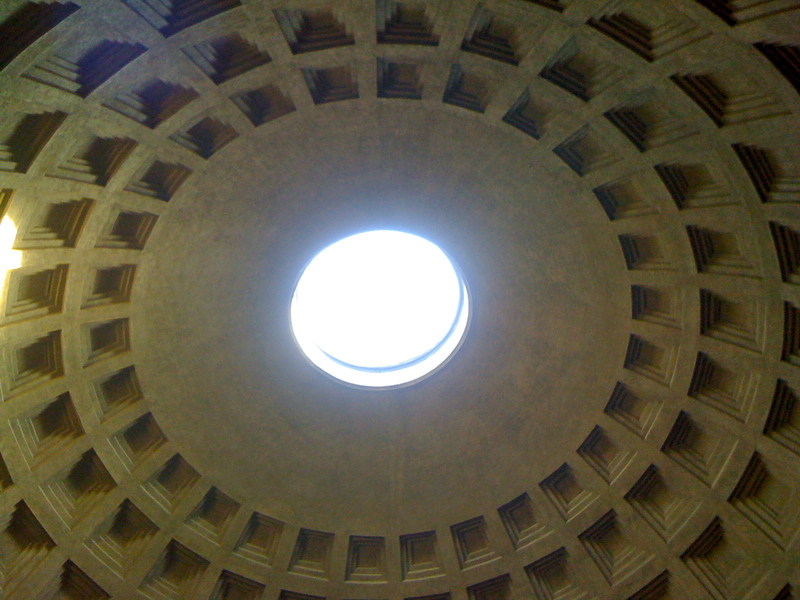 the hole in the ceiling - only source of light. it is 30 feet wide, if that helps with perspective. 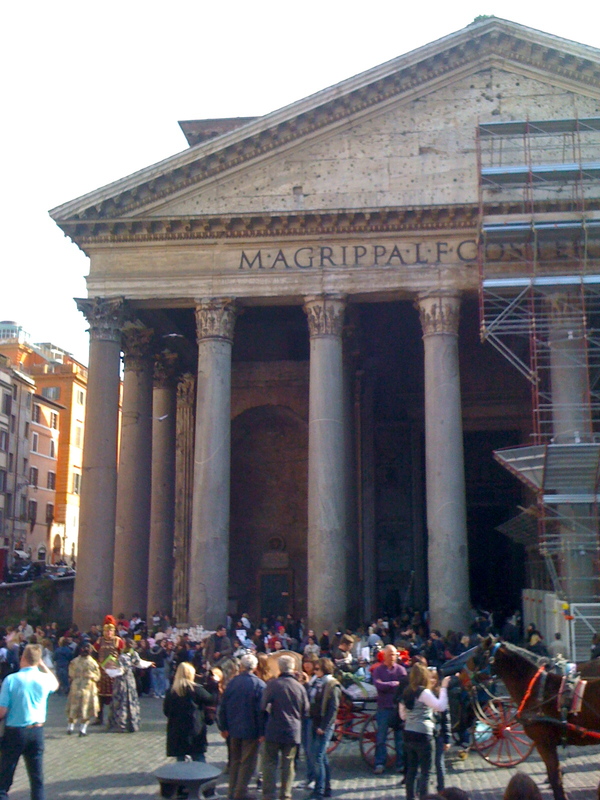 the front of the Pantheon. the right side is under restoration. a novelty shop. 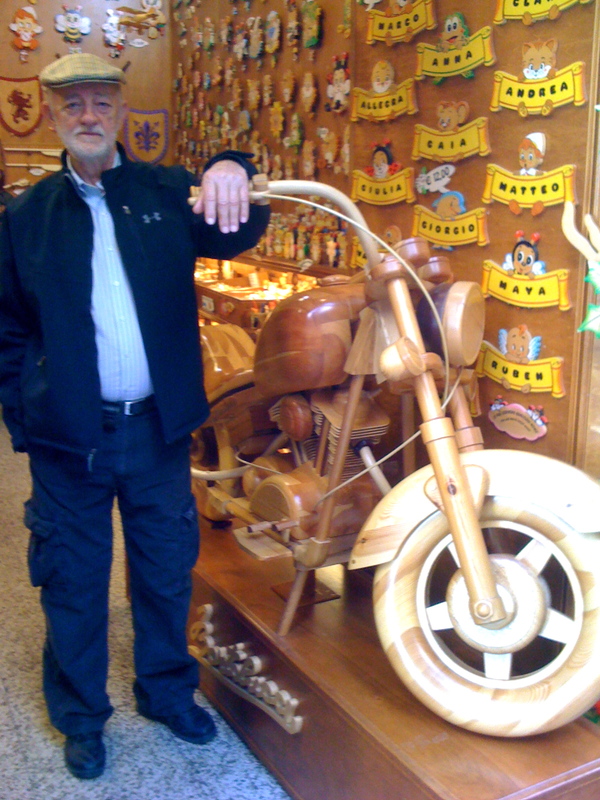 we didn't buy anything there, but check out the size of this wooden motorcyle!!! this made us all laugh out loud. 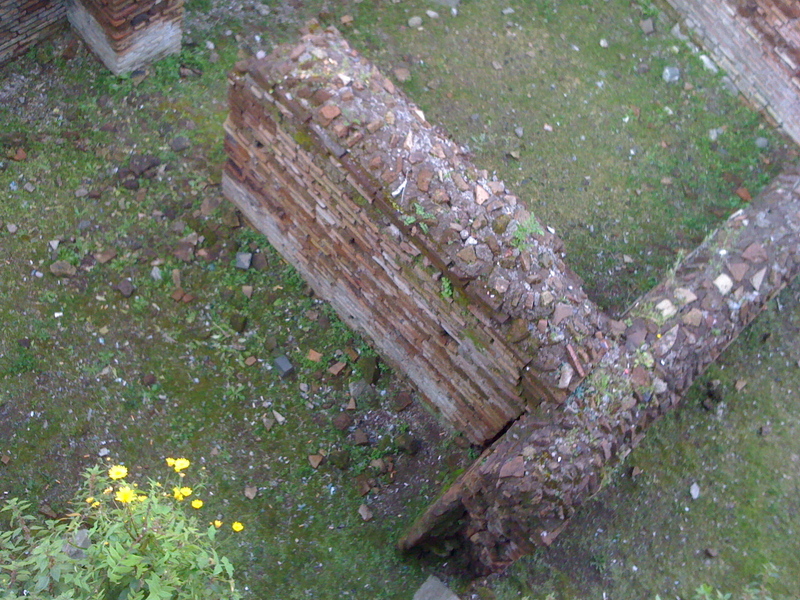 back just two blocks from the hotel, this is looking down on the ruins of where the Gladiators stayed and practiced. a better view of the Coleseum from near our hotel. 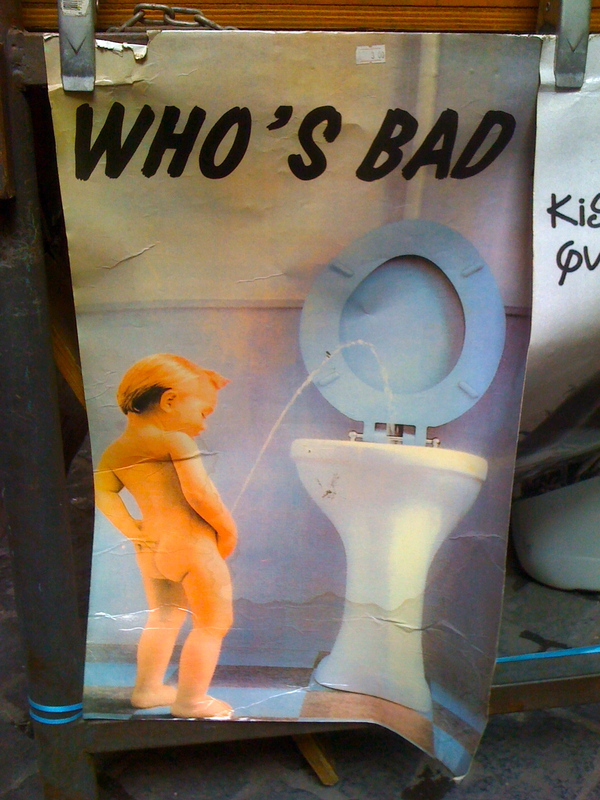 And the final picture of this post i find to be a bit ironic. 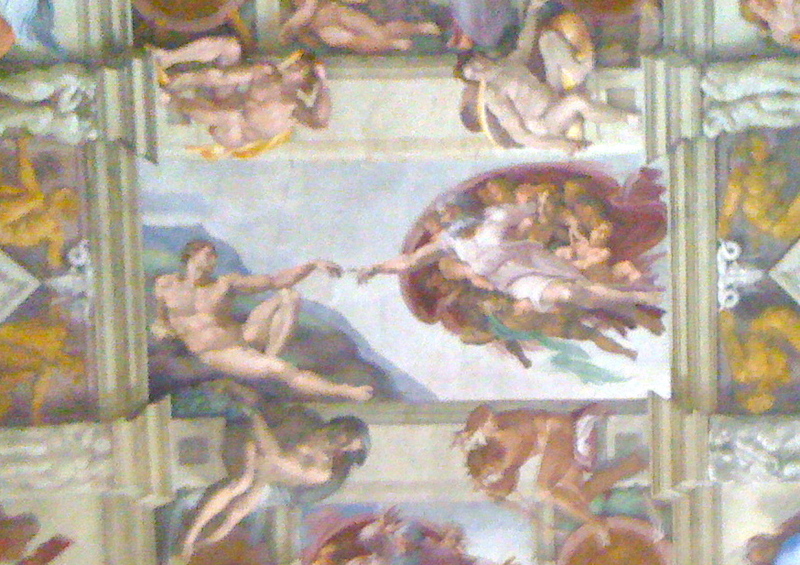 Raphael was commissioned to paint this scene that featured a cross that has now knocked humanism off its pedestal. 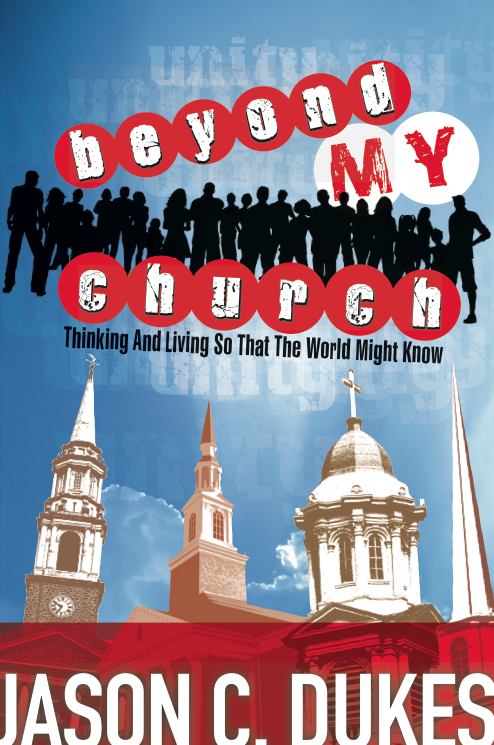 It was a common contention and effort by the church to squelch the influence of the Renaissance, although ineffective. And it is ironic that they commissioned a Renaissance artist to depict this scene that would be hung in a very large man-made monument called the Vatican. 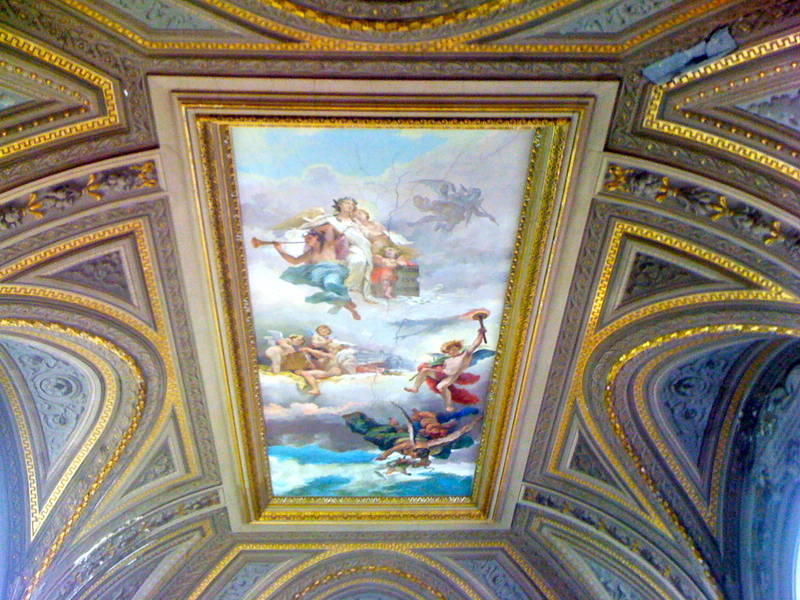 One could argue that humanism had permeated the Catholic Church and was playing itself out in the idol-worship kind of way that religious leaders were monumentalized as well as in the excessiveness of the buildings that housed those pieces of art. 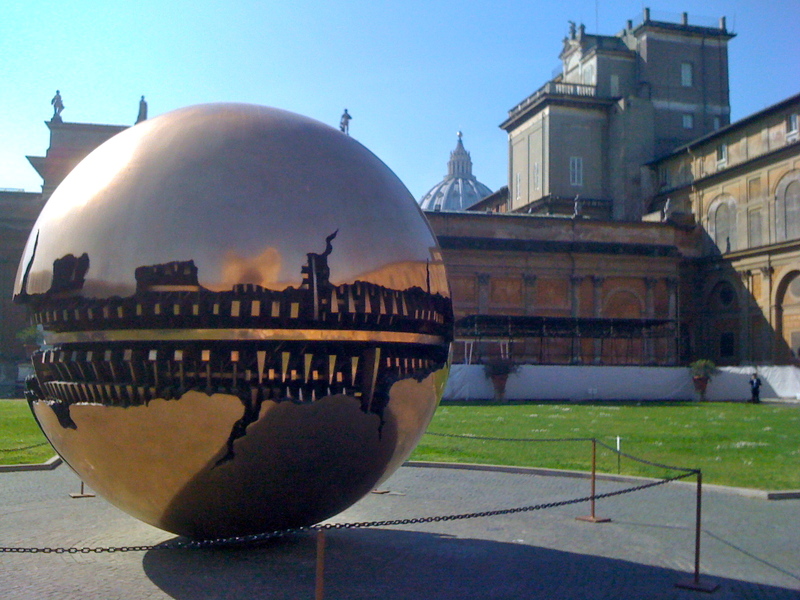 the Vatican asserts that the cross trumps the push of humanism. Will probably post another two days from now. Hope you enjoy the pics from today. 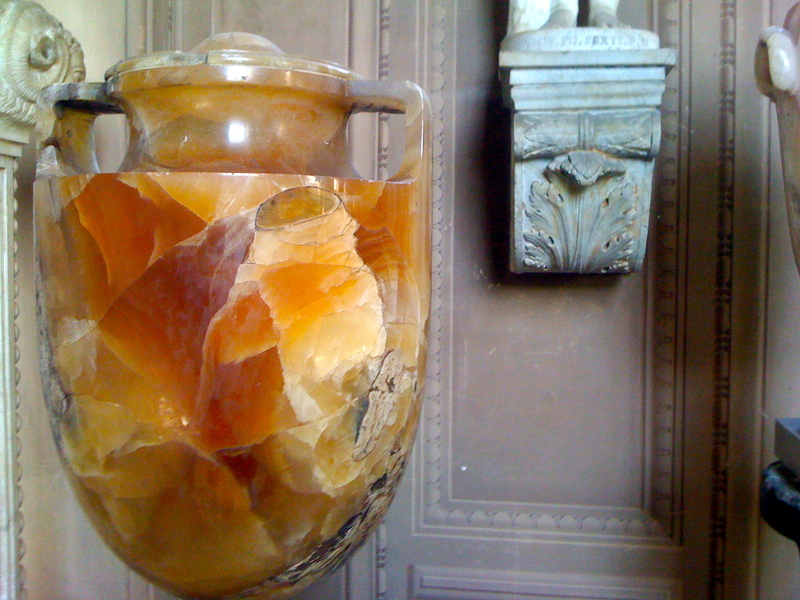 This weekend – church buildings, museums, exhibitions, and a special day excursion to Assisi!!! Gonna be special. Miss Jen and teh kids. Thankful I am here with Dad. Looking forward to tomorrow. Of all the beautiful pics of the sites… I have to say that I’m always amazed at how stylish your precious daddy is… his cargo pants, Under Armour jacket, and Samuel L Jackson hat! !